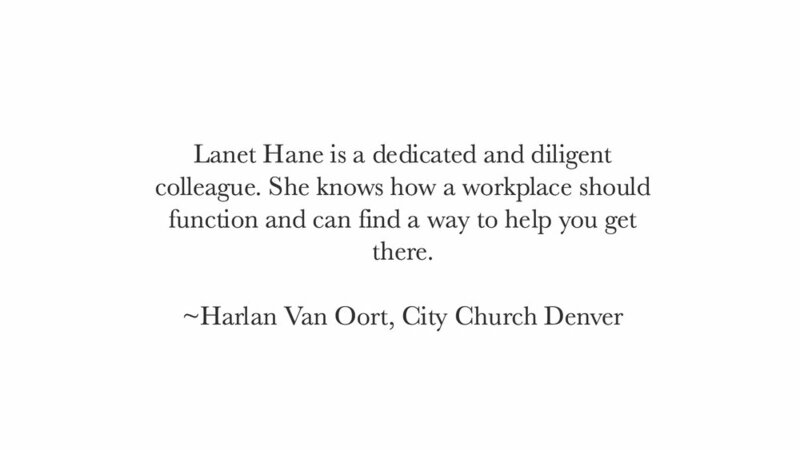 Lanet Hane is an employee engagement consultant with 10+ years of experience training employees and volunteers at all levels and across an array of industries. 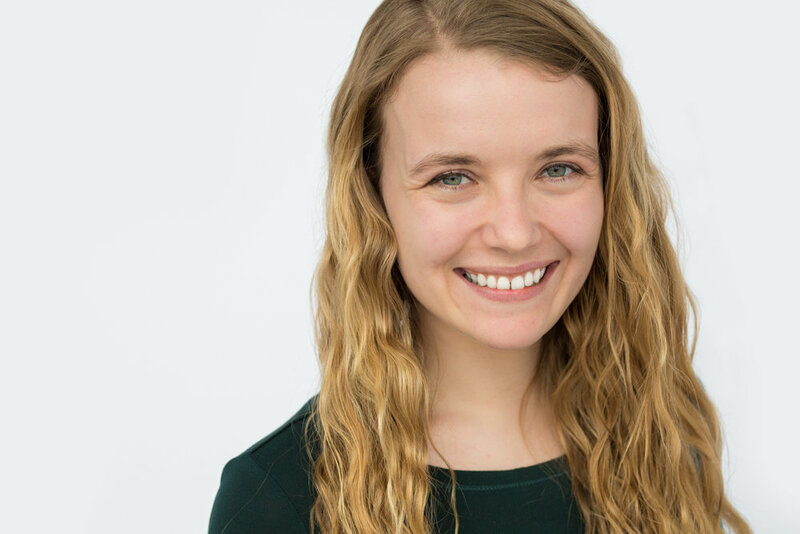 She has performed the role of manager, supervisor, event planner, and volunteer coordinator in a variety of settings, from national corporations to small start-up businesses. 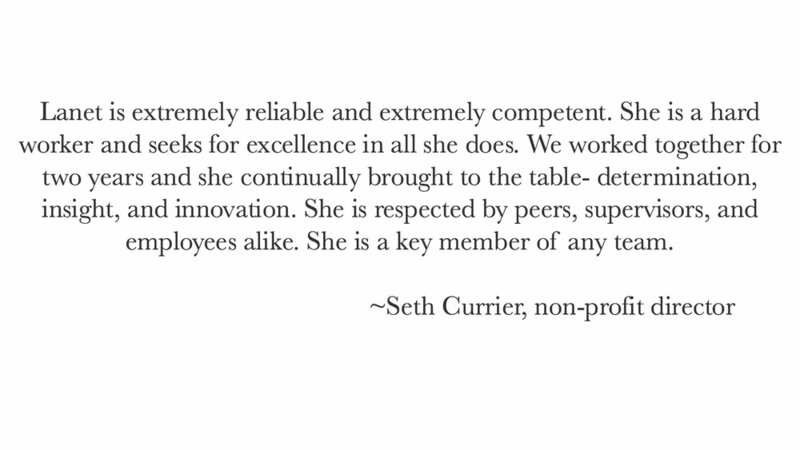 She has interacted with the Millennial population in higher education, professional settings, and K-12 public education. 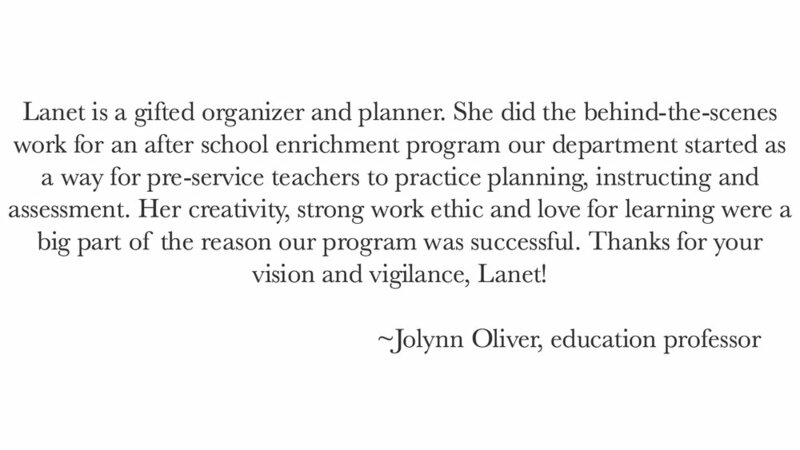 Lanet's experience includes creating and facilitating a master’s level course, planning events for 500+ individuals, launching an after-school program for under-served youth, and developing a 40-week adult life skills curriculum. She has her Bachelor of Arts and Master’s of Education in the field of youth development, where she focused on youth engagement and experiential learning methods. Her expertise extends beyond traditional classroom teaching methods and includes experiential education, interactive facilitation, and virtual instruction.